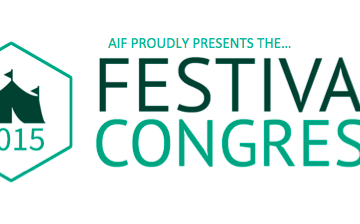 The Association of Independent Festivals (the AIF) has unveiled plans for The Festival Congress 2015. The Festival Congress, will be returning to Cardiff on the 5-6 November 2015. Delivering the keynote speech at this year’s event will be BBC Radio DJ and Sŵn Festival co-founder, Huw Stephens. Festival Congress’ launch last year saw the largest gathering of independent festivals ever, as over 400 delegates and speakers enjoyed a two-day industry conference and celebration in the capital of Wales. 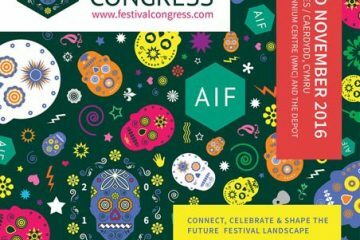 This year’s Festival Congress, which takes place at the Wales Millennium Centre, will feature approximately fifty industry guest speakers over the two days. The event will feature a series of quick fire talks, presentations and roundtable discussions, with a progressive agenda and format. 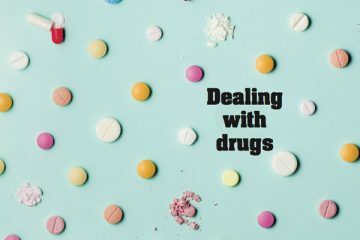 Speakers include inspiring figures from the independent festival industry – from events including Isle of Wight Festival, Bestival, Kendal Calling. 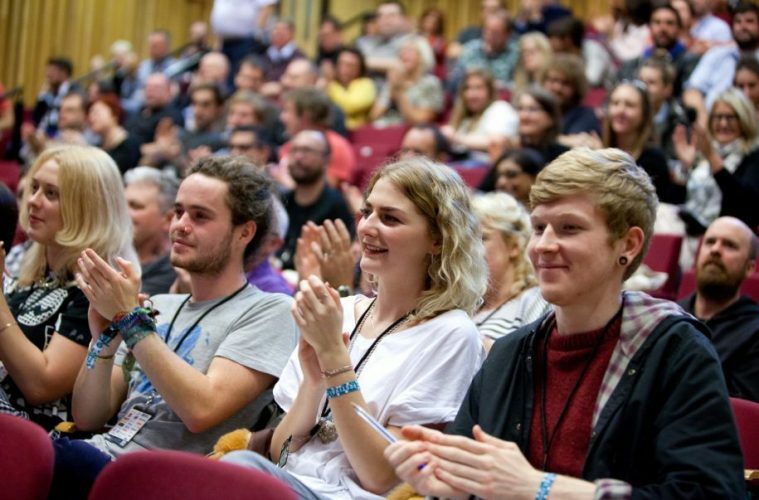 The Festival Congress 2015 will also see the launch of a festival-themed evening celebration on 5 November at Cardiff University’s Great Hall. This will be an AIF takeover of the venue, featuring festival themed décor, a street food festival banquet for delegates, AIF DJs including Rob da Bank and The Festival Congress Awards, which recognises and rewards the hard work that goes on across the industry. The keynote speech from Huw Stephens takes place on the first day of The Festival Congress – Thursday 5 November. Stephens joined BBC Radio aged just 17, making him the youngest ever Radio 1 DJ. He has presented BBC TV and radio coverage from numerous UK and international festivals, including Glastonbury, Sonar and South-by-South West. Passionate about championing new music, he co-founded Cardiff’s multi-venue NME award-winning Sŵn Festival in 2007 with promoter and current AIF vice chair, John Rostron. Huw has curated stages and compered at many UK festivals including Latitude, Reading, Green Man, Festival no.6, Bestival and Glastonbury. He has written for publications such as NME, The Guardian, Clash and The Western Mail. 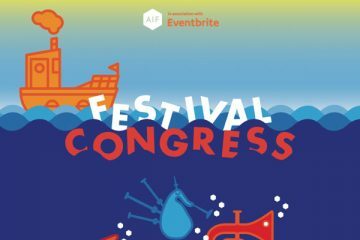 AIF founder Rob da Bank said: “So we’re in Wales again for the Congress and we need someone who’s passionate about festivals, music and all things Welsh…Hold on, where’s Huw Stephens?! So, yes, I’m so proud to announce Huw as our keynote speaker for 2015. He’s a fantastic broadcaster, lover of music and a good mate who goes to more festivals than I do, so roll on November for what will surely be a great Festival Congress”. The Festival Congress will also showcase emerging artists from the BBC Wales and Arts Council Wales Horizons programme – a scheme, which supports and develops new and independent music artists from Wales. In addition to this, the event will feature a ‘Spotlight on Wales’ round table discussion, which will showcase the range of festivals and opportunities within the industry in Wales. The Festival Congress comes just before the full return of Sŵn Festival as a weekend event. This year Sŵn takes place over the weekend of the 7-8 November. New ticketing service Una Tickets will be a headline sponsor and exclusive ticketing partner for The Festival Congress and will be using the event as a launch pad for the service, which provides ticketing, access control, cashless payments and real-time onsite analytics, through an RFID access card and mobile app pass. 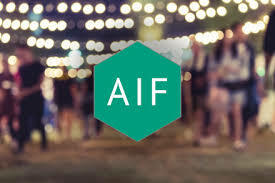 Tickets are on-sale to AIF members from the 15 July and will then go on general sale to the wider music and festival industry from the 22 July, with early bird tickets available up to the end of August, priced £100.